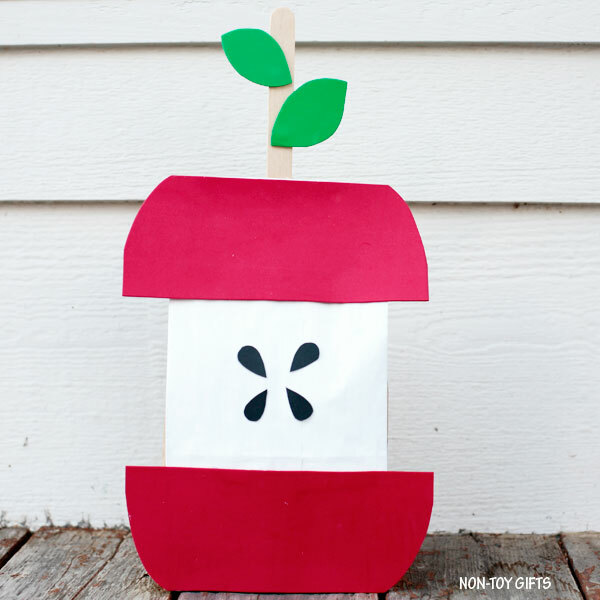 Apple crafts are among our favorite fall crafts. So far we’ve used paper rolls, pine cones, pumpkins, pom poms, yarn and egg cartons to make apples. 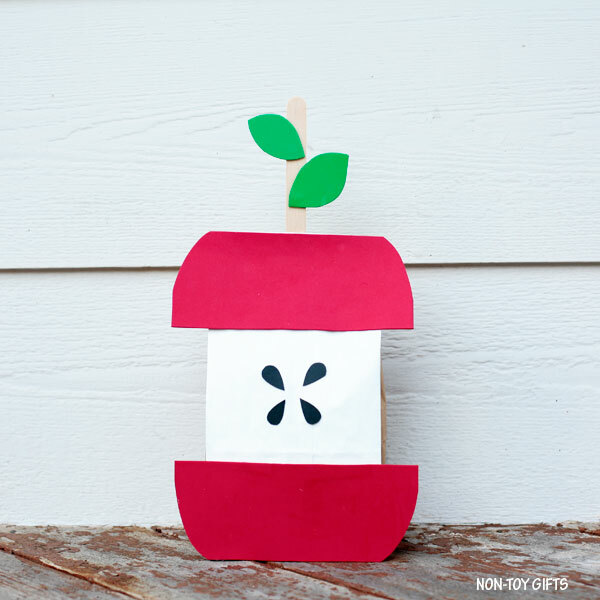 Today we’re using a paper bag to create a stuffed paper apple. 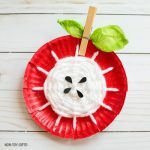 This apple core is so simple to make, just like the rest of our easy crafts for kids. Little ones will get to paint, cut and glue. 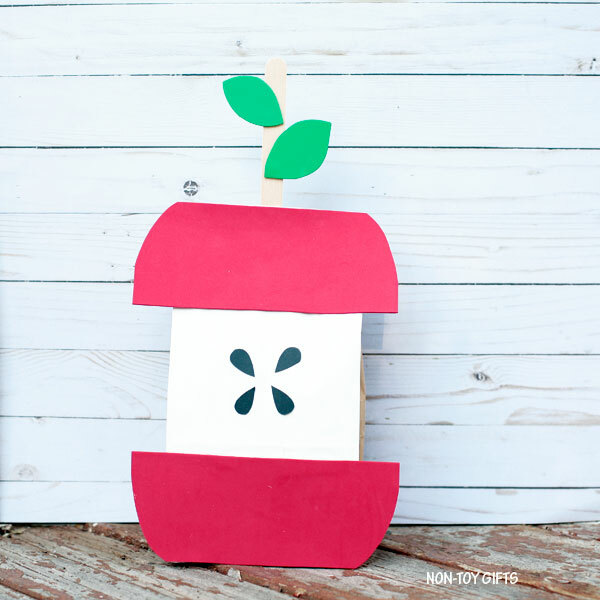 This makes the craft just perfect for preschoolers or kindergartners. 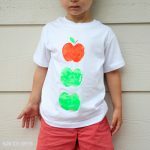 It could be a back to school craft to make in the classroom in the first week of school. 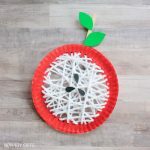 Or it can simply be a fun craft to celebrate autumn. Toddlers can pull it off too but with a little prep work done by a parent or teacher. If they have all the apple parts (apple ends, seeds and leaves) pre-cut, they could just glue them to the paper bag. They will certainly love painting the bag on their own. 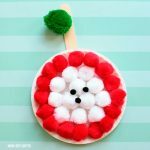 The classic paint brush could be replaced with a paint sponge, a cotton ball held with a clothespin or even their fingers. Who doesn’t love finger painting? 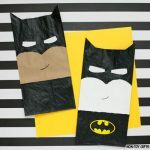 We only started using paper bags in our crafts last year with our Batman craft and a couple of Halloween crafts but I have a feeling we’ll be using them a lot more. 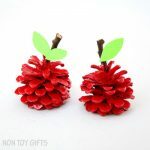 They make great material for crafting as they are inexpensive and easy to turn into all sorts of things, either by stuffing them or used as is. Painting them is easy, though some colors may require two layers of paint. With dark paint, one layer is enough. 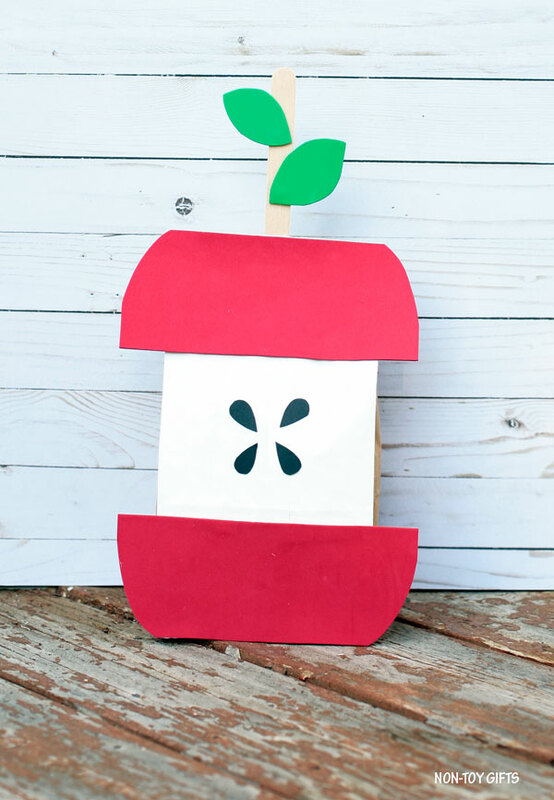 We used foam sheets for our stuffed paper apple but this is just a variation of the card stock paper. Sometimes it’s nice to mix up materials. I personally like foam because it’s soft and easy to cut. Card stock may be tougher especially for little hands. 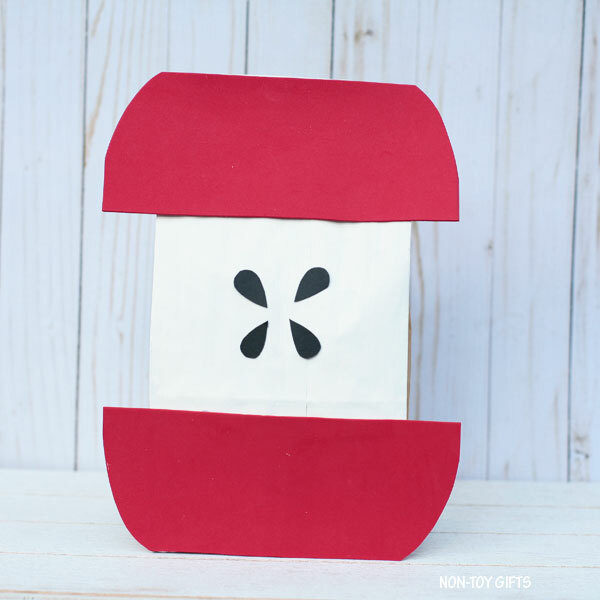 Construction paper is another option and a good one, too. It’s really up to you and what left over materials you have in your household. 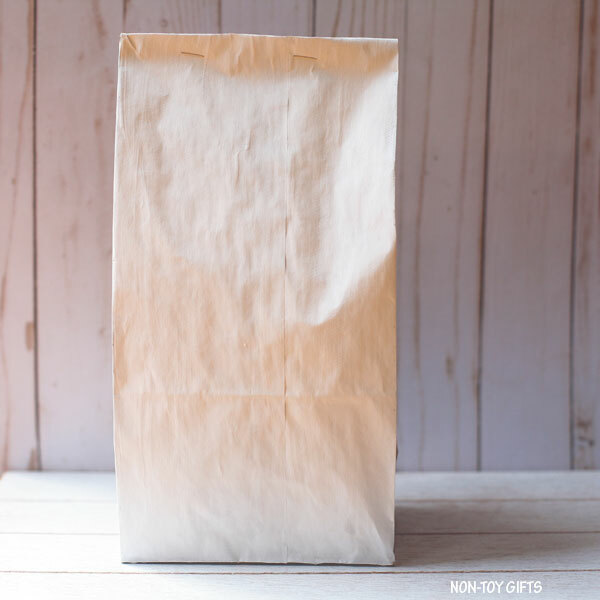 Step 1: Start by stuffing the paper bag with anything from shredded paper, newspaper strips to fabric or yarn remnants. We used polyester fiberfill. 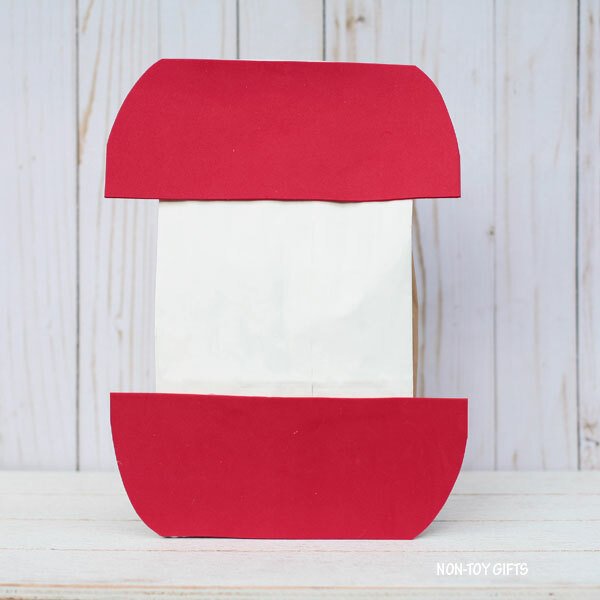 Fold the paper bag close and staple it. Step 2: Time to give the paper bag some color and paint it white. You don’t have to actually paint the entire bag but just one side. Step 3: While waiting for the paint to dry you can use a pencil and draw on the foam sheets all the necessary details, like the leaves, seeds and apple ends. Step 4: Glue the two apple ends, one at the bottom of the bag and the other one at the top of the bag. 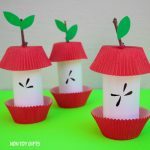 Add three or four seeds to the middle of the paper bag. Step 5: Glue one or two leaves to one craft stick and glue the stick to the back top of the bag. 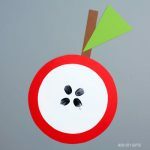 You can replace the craft stick with a real stick and the foam sheets with card stock paper or even construction paper.